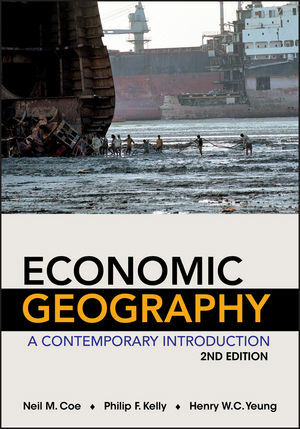 Economic Geography: A Contemporary Introduction, 2nd Edition tackles major questions of economic life, from the activities of transnational corporations and states, to places of work and consumption. In accessible but sophisticated terms, this book invites students to explore how geographies (location, territory, place and scale) shape both large-scale economic processes and our lived experiences. Throughout this comprehensive text, the authors present contemporary insights from the field of Economic Geography, drawing on examples from across the globe. As students engage with this readable account of the field, they will come away with an understanding of how economic processes are rooted in social, cultural and political realities. Neil M. Coe is Professor of Economic Geography at the National University of Singapore. Philip F. Kelly is Professor of Geography at York University, Canada. Henry W.C. Yeung is Professor of Economic Geography at the National University of Singapore.